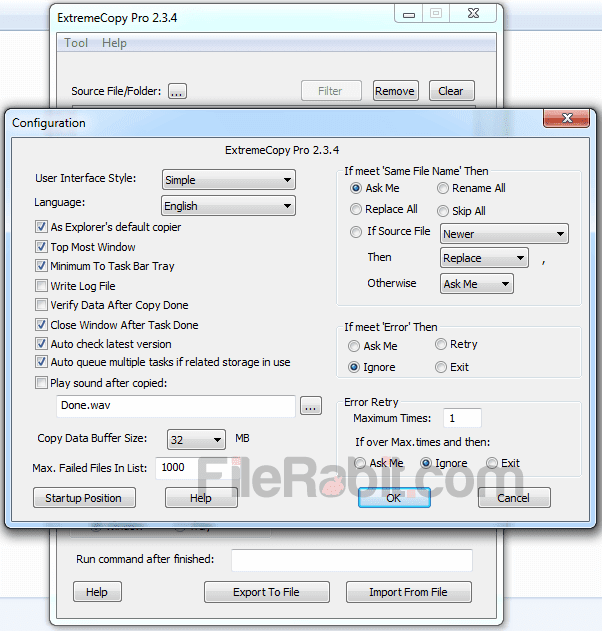 ExtremeCopy is aim to move or copy files and folders at very fast transfer speed. It’s almost 10x faster than Windows internal data copying utility. Now transfer files from HDD to SSD or from hard drive to external media in seconds with ExtremeCopy. Slower data copying will always makes the operator lazy so each of us is demanding faster data copying speed. However, ExtremeCopy is one of smart, light weight and easy to use utility that will transfer your data between internal and external media faster at maximum speed. Previously we just upload TeraCopy that is data copying utility and one of strong competitor to ExtremeCopy. Many of hardware manufacturers like Samsung, HP, Kingston, Sandisk, Toshiba, Nexus and many more are now upgrading their products from 2.0 to 3.0. The latest technology is 3.0 which will transfer data from external to internal, internal to internal, external to external and internal to external media with 50x faster. This intelligent tool has smart functions even it will automatically respond to errors without interrupting user. 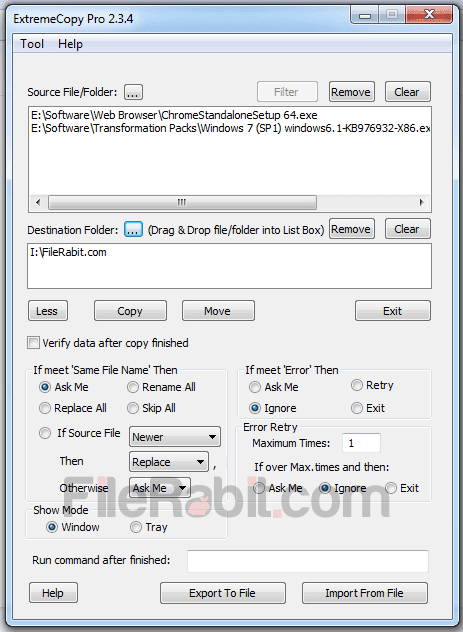 If the target destination has folder or file with same name then it will respond with Replace All, Rename All, Skip All as well. If there is an error while copying, it will also respond with automatic answer like Ignore, Ask me, Retry and Exit. The developer has added if commands efficiently, for example, any error needs user confirmation, ExtremeCopy will automatically take an action that was set by the user. Windows self data transfer does not have any similar options so it may interrupt user again and again if error occurs. Furthermore, the installation will add “Launch with ExtremeCopy Pro” function that means just copy or move target folder to any destination easily. The interface is simple so standard user can easily operate without wasting time. ExtremeCopy will save user time with copying or moving data at maximum transfer speed. Although, ExtremeCopy can copy or move large amount of movie, ISO, ZIP, RAR and program files with saving your valuable time.